Cognitive Labs conducts research supported by the National Institutes of Health (NIH) and other independent organizations on its tests and games, which is ongoing. The result is a substantial body of evidence showing sensitivity and effectiveness. In selecting cognitive training games, validated science is important. We combine a casual game experience with top-flight research, reflected in the regard for our games, with mentions in virtually every major media organization. Current ongoing (February, 2012) research is focused on the impact of antioxidants on cognition using one of our test batteries. Additional research on the effects of cognitive training on other aspects of aging are underway. The Speed of your brain, or BrainSpeed is a critical measure of your cognitive vitality and can be improved. Cognitive Labs has created games that are highly sensitive to slight variations in mental ability and are scientifically sound, down to the level of the genetic marker for Alzheimer's in one Stanford study. This sensitivity is based on objective measurement and the unique high order and global cognitive challenge presented by our games which require cognitive processing through a relatively large brain area, thereby casting a larger net to detect any breakdown along the neural network pathways that Alzheimer's and earlier stages of cognitive impairment differentially attack. You can improve your performance through regular brain exercise. Our technology addresses a broad range of Cognitive processes. Background: Detection of preclinical cognitive deficits is important for identifying those at greatest risk for such disorders as Alzheimer's disease. However, available neuropsychological measures may not be sufficiently sensitive to preclinical cognitive impairment, particularly in high functioning and younger older adults. This study utilizes a battery of computerized cognitive tests (Cognometer) designed to provide a more sensitive measure of age-related cognitive performance by incorporating speed of processing components. The Cognometer was employed to compare the performance of individuals with and without the E4 allele, a genetic risk factor for the development of cognitive decline and Alzheimer's Disease. Do Gamers Have Faster Brains? respondents who became distracted was not included. The results suggest that gamers are indeed faster. Other studies imply an age-adjusted differential of up to 100 milliseconds in response time. The data shows that intense workouts can improve cognitive speed at any age, which is a measure that links very closely to life expectancy in several independent studies, notably those of Ian Drury which examine IQ, reaction time, and life expectancy. The conclusion includes the finding that there is a substantive link between cognitive speed and and life expectancy, with the unknown variable being causality. Although the practice effect may account for some improvement up through a certain number of sessions (seven, for example) maintaining and enhancing cognitive speed and creating cognitive reserve appear to protect against the early onset of cognitive decline along with other diet and exercise approaches. 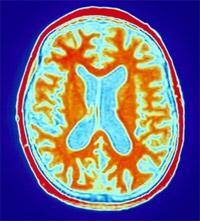 Dietary Supplements can Improve Cognitive Performance in healthy adults. Cognitive function after administration of a combination of nutriceuticals (ie, huperzine-A, vinpocetine, pantothenic acid, DMAE, thiamin, niacinamide, acetyl-L carnitine, pyro glutamate) was assessed on a battery of psychometric tests (i.e., Cognometer). Adult male and female subjects 35 years of age and older were recruited and assessed on the internet for baseline and over a 6-week treatment period. The results indicate that a combination of dietary supplements can improve cognitive performance in healthy individuals, that computerized on-line testing is a viable means to conduct such studies, and that measures of processing speed (reaction time) are sensitive to short-term changes in cognitive performance. The Cognometer is a commercially available reaction time testing suite that runs on PCs and Macs. Consisting of ten cognitive tasks, it promises to be an easy-to-use and easy-to-score measure of cognitive speed and ability. Given that it measures responses wholly by keyboard, it promises to be of tremendous importance to remote-testing situations, and in settings where external response consoles are not available or practical. It is important, however, to examine this reaction time measure in conjunction with other established reaction time measures. Furthermore, it's potential for use in clinical settings makes an examination of its correlations with clinical measures of cognitive speed and memory of interest. The present study discusses the psychometric characteristics of the 10 Cognometer tests, and presents comparisons with a battery of previously validated reaction time measures that use an external response console and timing device. In addition to this, correlations are computed between the Cognometer test subscales/subtests and the Wechsler Memory Scale, to determine whether it measures similar constructs to this well-respected memory test. Finally, the factor structure of Cognometer tests is evaluated, and a maximally weighted composite of its subscales is compared with the Raven's Advanced Progressive Matrices - a measure that is widely considered to be one of the better measures of general intelligence (g). Results suggested that the Cognometer tests are stable across time in both a short-term test-re-test scenario, and in a repeated practice scenario. Furthermore, the Cognometer tests demonstrated significant correlations to the scales of the Wechsler Memory Scale, and to the previously validated reaction time measures. These results suggest that test batteries such as the Cognometer may represent a potential resource for researchers and clinicians. Objective: To compare the performance of individuals with and without the e4 allele on a battery of cognitive tests designed to detect subtle differences in cognitive performance. Design: Performance on a computerized battery of cognitive tests (the Cognometer), and standard neuropsychological tests, of 10 older adults with the e3/e4 genotype was compared to that of 17 older adults with the e3/e3 genotype. Setting: Aging Clinical Research Center, Stanford University. Participants: 27 community-dwelling older adults were recruited from a pool of 120 individuals who already had participated four to five years earlier in a memory training study and a five-year, follow-up study. These individuals were originally recruited through newspaper advertisements and contacts with local senior centers. The 27 subjects who agreed to participate in this investigation were between 62 and 85 years of age. Measurements: Subjects were administered a computerized battery of cognitive tasks, the Cognometer tests, which measure verbal and spatial memory, working memory, attention, speed-of-processing, and visuo-spatial abilities. Additionally, subjects were administered a subset of neuropsychological tests which had been administered at baseline and at the five-year follow-up testing. APOE genotype had been determined at the previous follow-up. Results: Demographically, there were no differences between the e3/e4 and e3/e3 subjects. The two groups did not differ significantly on any of the neuropsychological measures. With respect to performance on the Cognometer battery of tasks, the two groups did not differ in terms of their physical reflex reaction time. Additionally, with respect to accuracy, the two groups did not differ significantly except on the measure of immediate memory, with the e3/e4 group exhibiting higher numbers of errors. However, the subjects positive for the e4 allele were significantly slower in performing all of the Cognometer memory and working memory tasks. Conclusion: Reaction time performance on the memory tests of the Cognometer battery was able to differentiate the performance of subjects positive for the e4 allele from those without the e4 allele. This study suggests that reaction time performance on the Cognometer test battery may be able to detect subtle cognitive deficits in older adults. Implications of the use of such measures for the identification of early cognitive decline in older adults are discussed. The early detection of cognitive impairments is essential as the aged population increases. A computerized test battery, the Cognometer, was used to assess 26 volunteers, 47 years of age or older for perceptual ability, memory and response speed. Results were compared to standardized tests for memory, language, visual-spatial, frontal lobe and global cognitive function. In general, the number of errors and variability on the Cognometer increased with reaction time. Age alone was not a significant factor. The highest correlations were between the Cognometer tests and Logical Memory, which is sensitive to age-related cognitive change and dementia. High correlations were observed between Cognometer perceptual/spatial tasks with WAIS III Block Design and Similarities, and may be sensitive to parietal and frontal lobe function. Memory and spatial ability are closely associated with hippocampal function, a structure often compromised early in dementia such as Alzheimer's disease. This study provides an estimate of the utility for the Cognometer to detect early cognitive changes in excess of normal age-related changes or associated with the onset of dementia. Our technology and web service combines disciplines: education, neuroscience, computer science, and genetics, and ECTs, or Elementary Cognitive Tasks. Cognitive Labs' technology has received U.S. 2 patents, with one pending and several under development. Recent research has been concentrated at Stanford University and has resulted in published journal articles in the area of cognitive impairment and genetics, as well as several invited presentations at the premiere neuropsychological conferences. Our new research page lets you to explore and learn more about the technology. We develop and grow extensible web services while we release new mind-related games, and from time-to-time license to 3rd parties for specific purposes, such as enabling purchasers of Natrol (Nasdaq:NTOL) BrainSpeedTM a naturally ocurring Huperzine-A compound to track changes (2005-2007) in their cognitive performance. Midway through 2007, we licensed our technology for use by a major pharmaceutical company in the neurological field. Partially supported by the National Institutes of Health (NIH), research has been completed at Stanford University, University of Calfornia, Irvine; and the Scripps Research Institute. Other institutions include University of Western Ontario, and the Swinburne University. Our studies involve use of patent-protected speed-of-processing exercises for the brain in numerous domains including community-dwelling older adults, students, clinical trials, individuals receiving MRI therapy; and at E3, 'gamers' playing Halo 2 concurrently with the ECTs. If you are actively using our games and tests in Scientific research, as part of a Psychology Lab, or in other aspects of Neuroscience please let us know. We have found in existence a global community of "cognitive hackers" using our tests for all kinds of scientific studies due to their portability and accuracy, in addition to the training and entertainment value. People of all ages enjoy playing games. Our goal at Cognitive Labs is to provide the widest variety and selection of cognitive games anywhere - both developed by us and also independent game developers. These games fit with regular test-taking and exercising and your other online activities including searching, reading news, and checking email. Feel free to bookmark the pages after you sign up. If you are interested in joining our developer progrram, simply email us. The games and tests can be enjoyed by anyone. Many of our users interested in memory are 35 and over; our casual game users range in age from college-age to over 100. Some features, games and tests are likely to appeal to some segments of our membership more than others. You have veto power, you can also rank tests and games. We add and remove games based on user suggestion. Memory TV alpha - Select Picture Groups that play on your computer automatically.